How are you guys doing? I'm doing amazing if I may say so. Comment allez vous peeps? Moi je vais magnifiquement bien. 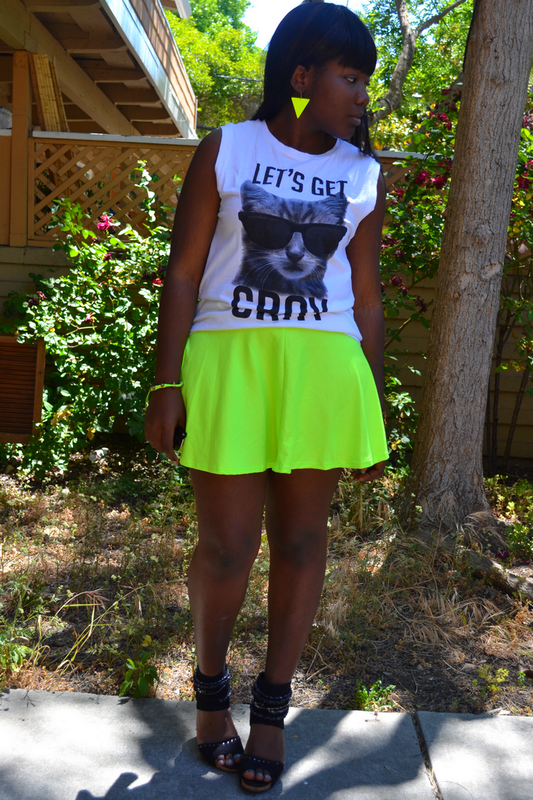 Ok that shirt is adorable..and your reign continues as the neon queen! 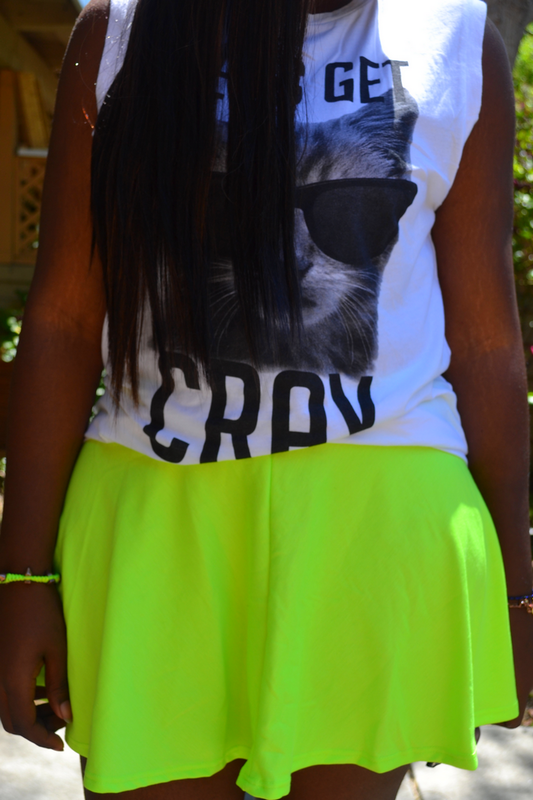 tenue super cool!! je valide entièrement!!! coup de coeur pr la jupe! Ta coiffure te va bien! Great look! I love the shirt! J adore ma belle! Loving the skirt and the vest! Oh your hair style is hot! 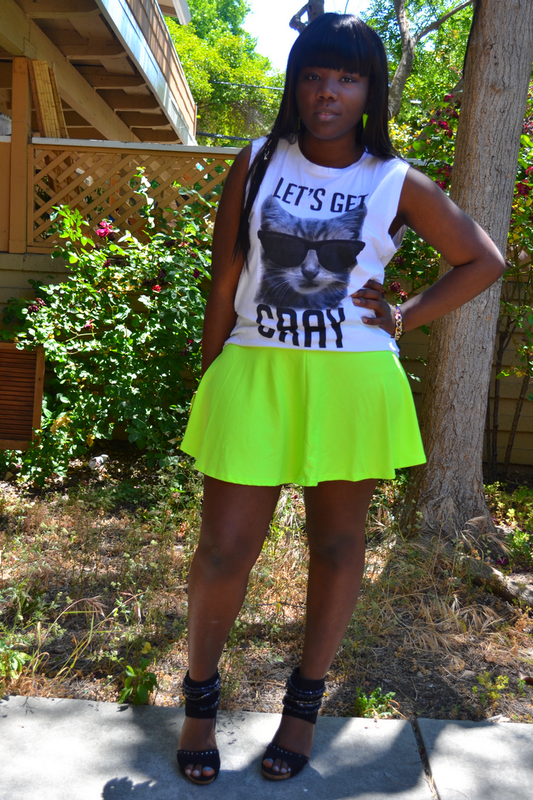 cute outfit... the skater skirt and shirt is always a good pair! 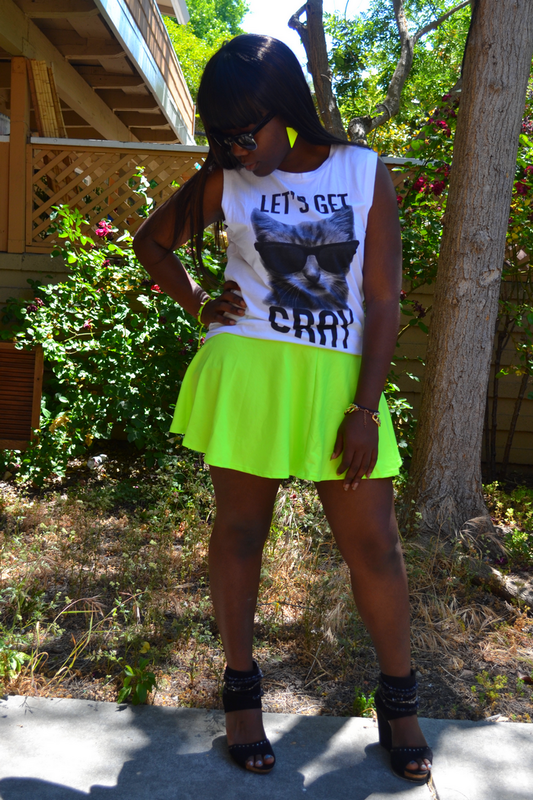 In love with the skirt dear, I love this neon outfit!!! Haha, cute top! 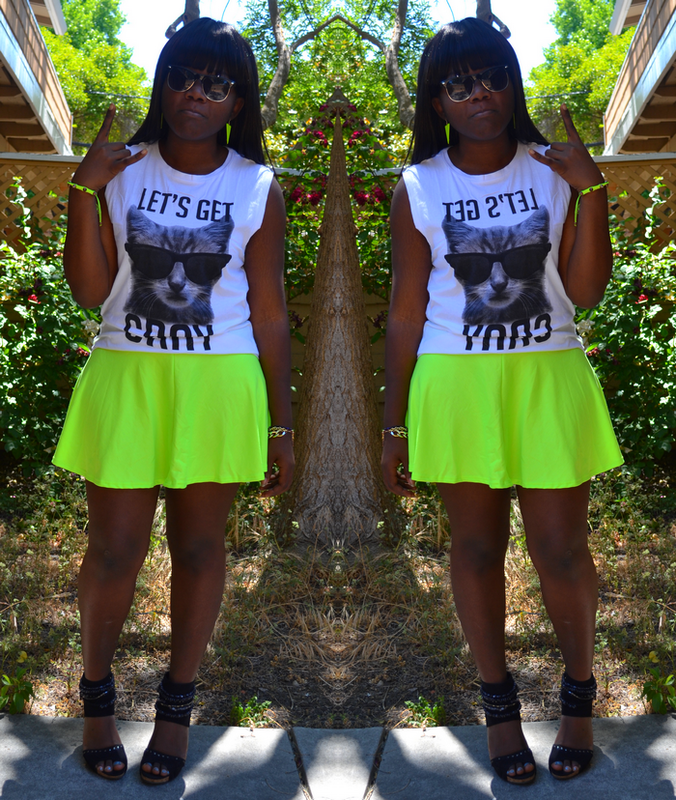 I'm looking for some graphic tees/tops myself so I'll probably check out Forever 21 myself! Ces touches de jaune, ça te va trop bien, j'adore !! !